This topic contains 0 replies, has 1 voice, and was last updated by Jason 1 year, 5 months ago. 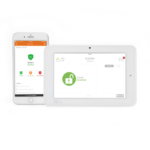 suretyDIY’s Alarm Response Messenger (ARM) is a text chat service which can be added free of charge for accounts with 24/7 central station monitoring. Upon activating a burglary alarm signal, you and your selected contacts will receive an SMS text message with a link to the event chat. 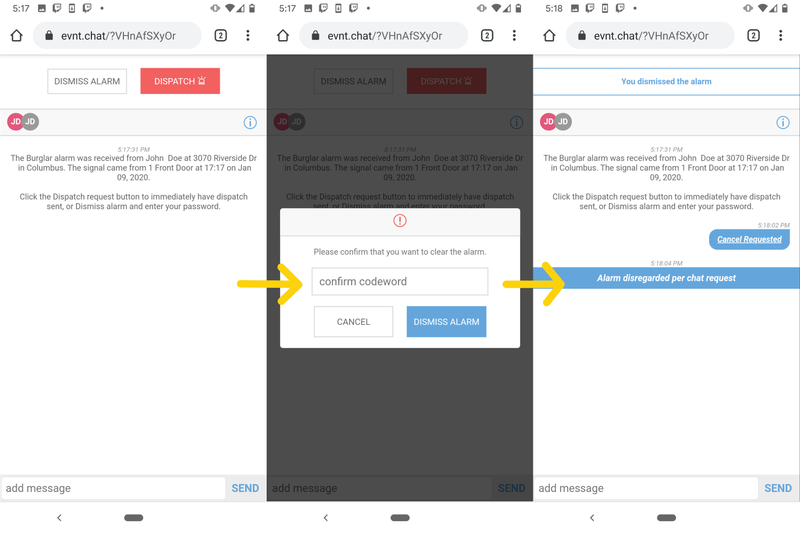 Tapping on that link will load the chat interface where you can discuss with your contacts, request dispatch, or dismiss the alarm with a valid passcode. ARM can be added to any existing suretyDIY subscription that includes 24/7 Central Station Monitoring. ARM, if enabled, will become the first contact method during burglary alarm events, and operator calls will be delayed to allow handling of the event via ARM. If you would rather have more direct control over dispatch without speaking to operators all the time, this may be right for you. ARM allows you to coordinate directly with the other contacts using your system to ensure you have the most accurate and timely information about an alarm event. For accounts using 2-Way Voice, ARM will delay contact calls by 30 seconds. For Accounts not using 2-Way Voice ARM will delay contact calls by 90 seconds. Upon opting into ARM, all eligible contacts will be enrolled, unless otherwise specified. To make updates to your ARM enrollment please visit the System Manager found in your account Dashboard .